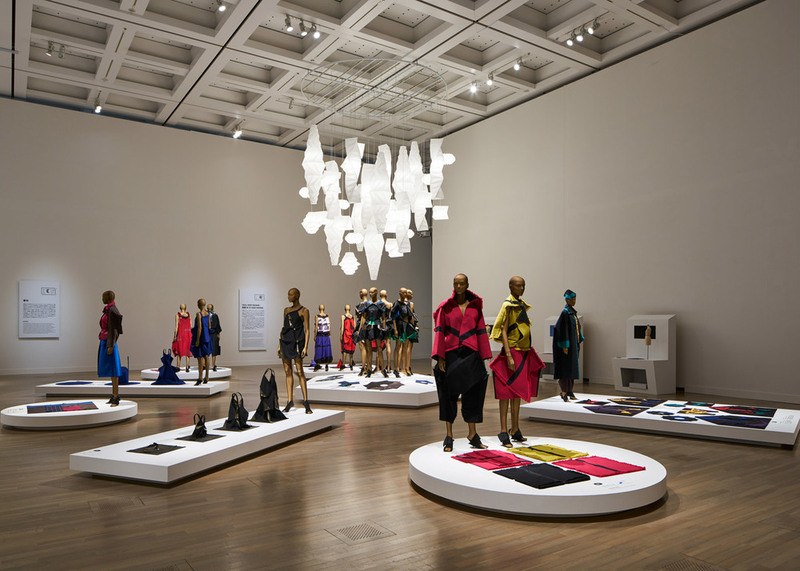 Japanese designer Tokujin Yoshioka has created an installation of see-through bodies as part of a major exhibition of work by fashion designer Issey Miyake. Yoshioka's cEach mannequin is made from 365 layers of laser-cut acrylic plastic, stacked up in horizontal and vertical layers to from the shape of a woman's body. "A simple piece of cloth is transformed into a beautiful form as it is worn by human body, which one could not even imagine the original form." said Yoshioka of his former mentor's designs. 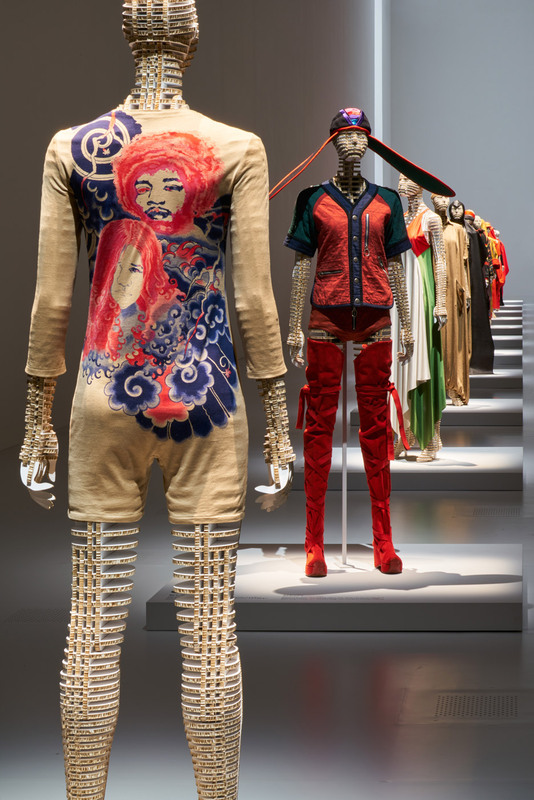 Forty-five years of innovative fashion and design by Issey Miyake are on display, promising an "unprecedented" insight into the fashion designer's career from 1970 to today. Miyake, 77, is best known for his origami-like garments, technological development of textiles and unique approach to fashion. From the brand statement, "Miyake has always explored the relationship between a piece of cloth and the body, and the space that is created as a result, unrestricted by any existing framework… he persistently undertakes research and development to create clothing that combines both innovation and comfort."